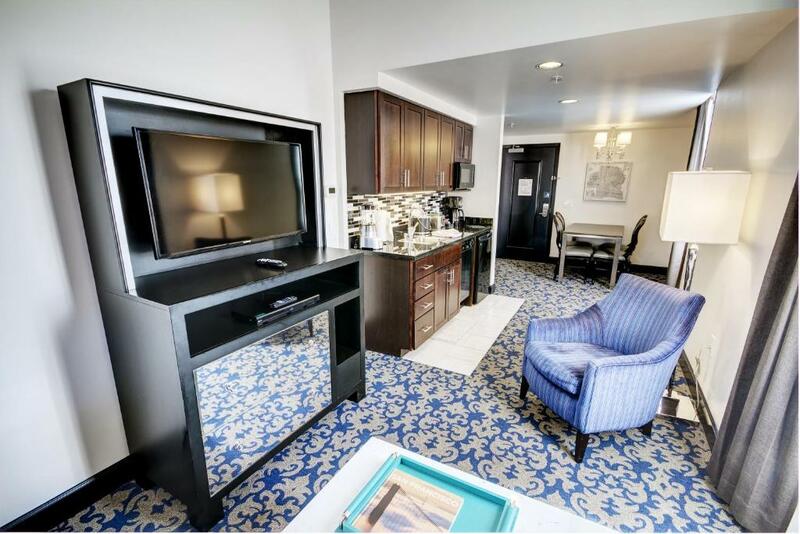 Free Wi-Fi and spacious non-smoking rooms with microwaves and sofa beds attract guests to the Wyndham Canterbury at San Francisco. The Wyndham has 10 floors and 115 non-smoking rooms all with separate living and dining areas flat-panel cable TVs DVD players voicemail sofa beds microwaves and mini-fridges. Wi-Fi is free throughout the property. Downstairs you'll find a fitness room game room business services and tour/ticket assistance. Valet parking is available for an additional fee. Centrally located in San Francisco the Wyndham is within three blocks of the Theatre District and Union Square. The Financial District Asian Art Museum of San Francisco and San Francisco Museum of Modern Art are approximately a nine-block walk from the hotel. The hotel is 15 miles from San Francisco International Airport. Free Wi-Fi a game room and fitness room add up to a comfortable stay at the Wyndham Canterbury.